NEW YEAR. NEW YOU. TRANSFORM + GLOW! Meryl Iacocca, an original DDFY tribe member, has launched her business with Rodan+Fields, the #1 skincare brand in North America and fastest growing! I have been helping a web of family and friends transform their skin and also transform their lives. With a background in Psychology from an all women's college, I am focused on empowering other women to achieve MORE for themselves: look and feel good and do good. I walked away from a ten-year corporate career as a workers' compensation claims adjuster that was no longer serving me or my full potential. I gave so much of my time and energy to my work and I was missing out on my two little girls at home with their nanny. It was burning me out and I did not even realize how numb I was until this opportunity made me start dreaming again. It hurts so much to say that I was just surviving but not living a life that I was enjoying, even with all my blessings. I want to be happy and do more of what I love and that's yoga! It is my dream that one day I can open my own yoga retreat destination. R+F is a powerful movement and a vehicle for change that is so beautiful on the inside. It would be my honor to help others achieve the best skin of their lives, the self-confidence that is linked with it and do more of what makes them happy as well. Redefine your future. Soothe your Soul. Reverse debt. Unblemish your lifestyle. Rodan+Fields is life-changing skincare. Let me share why millions are buzzing about it, with free samples of the newest innovations in ground-breaking skincare and a raffle for attendees (e.g., Lash Boost?)!! The Solution Tool will be available for customized skincare routine recommendations. A quick presentation on the product line being displayed, including the core regimens and enhancements and dermacosmetics, and Q&A. Sparkling water will be offered for refreshments. Incentives for Preferred Customer enrollments at the event. Join Jacqui for this profound experience based on the teachings of Tibetan Warriorship in Vinyasa, Yin & Meditation format. Be part of an experience that is sure to make a genuine imprint on your body & brain through the practice of great movement, stillness & awakening. Let this class help you hit the reset button for the things that fuel your fire & your ability to balance that with recognizing basic goodness & resources again. The key to Warriorship & Yinja mentality is to live a life of sacred appreciation in as many moments as possible. That is one of the healthiest things you can do to strengthen your life force and remain strong for the rest of your breaths. You have been with Jacqui for the past ten years in the Chakra Cleanse to arrange your emotional alignment. This class will be focused on your mental alignment & how you can remain organized, steady and even JOYFUL in all situations. How you can navigate difficulty with warrior intelligence and instant ninja-like perspective. And when it all falls apart, Warriorship helps you see the beauty of that too. Learn the keys, the asanas, the mental/physical formations & arrangements to command your world. Jacqui teaches a weeklong retreat every Fall at Kripalu with the same title. This workshop was born from wanting to share some of the highlights for those who can’t always make it! Join us in the beautiful setting of Labelle Winery for 60 minute vinyasa flow with Melissa Martin and move to the music of DJ Mantra. After, decompress and enjoy wine tasting and socializing with the crew! The one and only David Vendetti is coming to Downdog again. This workshop will focus on total body nourishment where physical tension is released, the breath is deepened, and the body returns to a sense of ease and balance. This sweet systematic look into unwinding the body will take a smart approach to grounding, expansive breathing, shoulder recovery and uplifting the body. This is a gentle and restorative class that is open to all levels practitioner. Let's light the night with a powerful yoga flow in honor of the Leukemia & Lymphoma Society (LLS) in their cure against cancer. Half of Light the Night Yoga class fees will go towards LLS Light the Night Walk hosted on Saturday, October 15th in Nashua, NH. Please join our Yoga Flow & Restore night to support this great cause. Thank you in advance for all who will attend and support LLS! For the first hour, pamper yourself with a yoga practice that is designed to detox your body and cleanse the pores for complete skin rejuvenation. We will focus on elongating and deep twisting the body to get prepared for beautification. After class, beautify yourself with a makeup tutorial session with Younique makeup and skin care expert Tracy Solari. Tracy will give tips and samples of some of the most amazing makeup with excellent coverage at an excellent price! Relax and enjoy healthy beverages and snacks that will also help give your skin a beautiful clear glow. Handstand! Learning to handstand is a process, abundant with discovery and amazement. Whether this is your first inversion workshop or you are well versed in the art of handstands, brace yourself as we delve into alignment, work toward mastery of the shoulder girdle, and explore acrobatic principles so you can build confidence and manifest a greater sense of balance. You will learn exercises that unify body and mind to create a solid foundation for a lifetime of standing on your hands. As a group we will create a safe and transformative space that will be appropriate and for all levels of practice. Take your handstand practice to the next level! Recommended experience for Handstand! : 3 months of steady yoga or acrobatic practice. Cost: 55.00 or 50.00 for both Boundless Freedom and Handstand. Space is limited please email downdogflow@gmail.com to sign up! Cost 35.00 early bird before January 9th after 40.00 Space is limited sign up today! Email downdogflow@gmail.com to reserve your spot. Total body nourishment is found when physical tension is released, the breath is deepened, and the body returns to a sense of ease and balance. This sweet systematic look into unwinding the body will take a smart approach to grounding, expansive breathing, shoulder recovery and uplifting the body. This is a gentle and restorative class that is open to all levels practitioner. Cost: 35.00 early bird before January 9th after 40.00 space is limited sign up today! Email downdogflow@gmail.com to reserve your spot. A multidirectional approach to supporting the powerful curves of the spine is crucial in allowing the practitioner to find comfort and ease when backbending. In this thorough examination we will be opening the shoulders, hip flexors, and groin as well as awakening the core before taking a look at the different ways to safely access and understand the grace and beauty of backbending. Yoga allows me to be who I am without struggle. To notice, breathe, remember and enjoy this body, this moment. I love returning to my yoga mat to play in the body awakening, breathe into a heart wide open and find gratitude for the infinite that I forgot was me. Classes integrate a clear foundation in anatomy with intelligent alignment, hands on adjustments and ever evolving flows to heal the body. Students are encouraged to cultivate a deep passion for self examination, light hearted exploration and drop everything in order to find out that when we hold on to nothing, what is left, is all we truly need. It has been an incredible gift to have studied and trained in yoga, structural bodywork and meditation. I have been honored to meet and practice with so many talented and amazing teachers whose work I cherish and share now as I teach. Thank you Patricia Walden, Ana Forrest, Tom Myers, Sri Sri Ravi Shankar, Lynne Begier, David Magone, Andrew Cohen, Bo Forbes, Sundara, Pamela Wilson, Arthur Kilmurray, Sri Louise, Byron Katie and Glenn Black for reflecting the limitless. David co-owns South Boston Yoga and won 2005 Best of Boston Yoga Teacher for Boston magazine and along with Todd was the 2009 Boston Prudential Lulumon Ambassador. Cost: 40.00 before Sept. 26th after 45.00. Space is limited sign up today! A vinyasa class centered around building a stronger base- physically, mentally & emotionally. Poses purposefully positioned to strengthen the kinetic chain of the body and the major & minor chakras of the energy body. Both focuses will have heavy emphasis on balancing the root chakra. It is this freedom that will promote a more united front when it comes to how mind and body converse together no matter the positions on your mat & no matter the positions in your life. This class is for beginners to advanced. All are welcome and can be accommodated. Live music centered around the root energy will be played in savasana. Please wear something red. Jacqui Bonwell: 500hr Registered Yoga Teacher (E-RYT-500), Level 1 Balanced Athlete ™ Certified coach, Level 1 FMS Functional Movement Systems) certified, Reiki Master, Yoga Life Coach, Director of the Sacred Seeds Yoga School (RYS-200hr level, RYS-500hr level) in the Boston/New England area and Owner of the Canton Yoga Shala in Canton, MA. I hold a Bachelor of Arts in Psychology and Sociology from the University of Rhode Island. I work primarily with Yoga Teachers through my 200hr & 300hr Yoga Teacher Training certification programs. Additionally, I provide Life Coaching to help yoga students deepen their practice and apply the teachings to their everyday lives. My most important credential and greatest training has been Motherhood. After graduating from college, I travelled extensively and settled back in MA to begin a 10 year career in Social Services that took me everywhere from Boston neighborhoods to Ireland to Oregon. During my social services career, I had the privilege of meeting amazing people who did more than persevere; they transformed. At the same time, I witnessed a darker side of life that felt like sandpaper to my soul. There are defining moments in life when we wonder if we are in the right place or if we are heading in the right direction. Distance helps us to see things clearly. Yoga provided me with the space I needed to reflect and regroup. After ten years of giving 110% I developed ulcers from stress. My body had dictated that I had learned how not to live. That is when I left Social Services. The children I met through this career are my true teachers for life. I have the utmost admiration for each of them and continue to pray for their ease and freedom. I completed the Open Doors Teacher Training out of Weymouth, MA. This program not only touched on the teachings of yoga (power vinyasa, hatha & restorative yoga) but included strong energy healing components. I met a wonderful mentor, Reiki Master & Teacher, Pat Iyer. She helped me to build strong energetic & physical roots right out of the training gate. Melissa Martin 200hr RYT and Pamela Godbois 200hr E-RYT will be leading young yogi's through a week of yoga camp! Students will learn a yoga practice along with healthy habits and themes for each day such as "responsibility, cooperation, and community." Ignite your practice with this powerful, well-rounded vinyasa class. Power comes from the knowledge of how to strengthen your body for a yoga practice that will last a lifetime. Precision is the anatomical knowledge that will allow you to release the areas that need it and tighten the opposite side. Practice taking a playful and exploratory approach to challenging poses. Warning: this class may cause insight, stability, physical breakthroughs and waves of heightened energy and joy. 35.00 Space is limited sign up today before April 11! After April 11th cost is 40.00. $30.00 prepaid to Downdog Flow Yoga & Pilates before February 28th. $35.00 after February 28th space is limited so sign up today! This workshop will discuss the most troublesome areas of the body for athletes. Mainly focusing on opening the calves, hamstrings, quads, hips, and shoulders. A strong emphasis on the core and the importance of core strength will be visited to give each athlete an advantage over the competition. The workshop will also focus on standing balances to help strengthen ankles and knees. 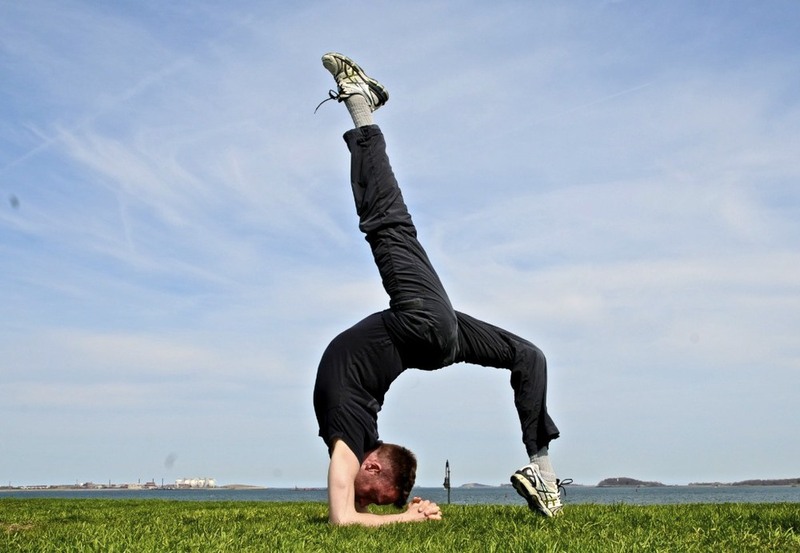 Learn the importance of flexibility and how to prevent injuries. This workshop is for all levels including beginners. Perfect for endurance athletes, Crossfit, or team sports. Lululemon Portsmouth Showroom is packing up their merchandise and heading to Downdog Flow Yoga & Pilates! A variety of women's and men's clothing will be on display for you to buy. Don't miss out on the opportunity to have this fantastic brand in Bedford bring your family and friends. $35.00 prepaid to Downdog Flow Yoga. Space is limited sign up today! $25.00 Space is limited submit payment today! Experience the physical and psychological benefits of Yin Yoga coupled with the use of Young Living Essential Oils. The basic tenants of Yin are, come into a pose, and find the appropriate edge, resolve to remain still and hold the pose for time. While the physical benefits of Yin range from detoxifying tissue, preventing degeneration of the bones and increasing mobility of the joint, the mental benefits vary as well. This practice will allow you to learn to relax and let go of the chaos while improving you range of motion (flexibility) and spine health. The Essential Oils add a lovely depth to the practice of relaxation.This practice is wonderful for athletes and desk sitters alike. Space is still available for this time slot sign up now! $35.00 payment to secure your spot. Cost: $35.00 Space is limited submit payment today! Total body nourishment is found when physical tension is released, the breath is deepened and the body returns to a sense of ease and balance. This sweet systematic look into unwinding the body will take a smart approach to grounding, expansive breathing, shoulder recovery, and uplifting the body. This is a gentle and restorative class open to all levels of practitioners. Interested in hosting an event or teaching a future workshop? We would love to partner and hear your ideas. Please complete the form below and we'll be in touch.